The state of Tennessee is rooted in the Watauga Association, a 1772 frontier pact generally regarded as the first constitutional government west of the Appalachians. What is now Tennessee was initially part of North Carolina, and later part of the Southwest Territory. 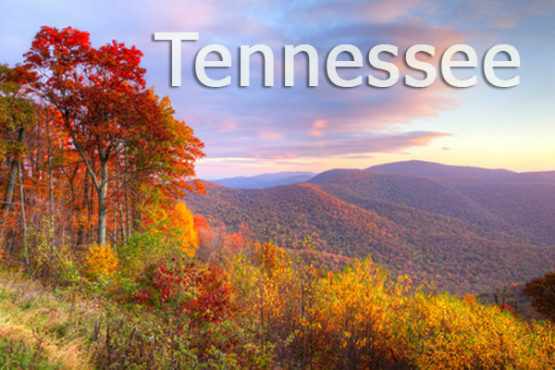 Tennessee was admitted to the Union as the 16th state on June 1, 1796. Tennessee was the last state to leave the Union and join the Confederacy at the outbreak of the American Civil War in 1861. Occupied by Union forces from 1862, it was the first state to be readmitted to the Union at the end of the war. In the 20th century, Tennessee transitioned from an agrarian economy to a more diversified economy, aided by massive federal investment in the Tennessee Valley Authority and, in the early 1940s, the city of Oak Ridge. This city was established to house the Manhattan Project’s uranium enrichment facilities, helping to build the world’s first atomic bombs, two of which were dropped on Imperial Japan near the end of World War II. Iroquois, bred at Nashville’s Belle Meade Plantation, was the first American winner of the English Derby in 1881. Such modern thoroughbreds as Secretariat trace their bloodlines to Iroquois. There are more horses per capita in Shelby County than any other county in the United States. Nashville’s Grand Ole Opry is the longest continuously running live radio program in the world. It has broadcast every Friday and Saturday night since 1925. Tennessee has more than 3,800 documented caves. Hattie Caraway (1878-1950) born in Bakersville became the first woman United States Senator. Grinders Switch, entertainer Minnie Pearl’s fictitious hometown, is now an entertainment complex in her real hometown of Centerville. Oak Ridge was instrumental in the development of the atomic bomb. Today, because of constant energy research, it is known as the Energy Capital of the World. The “Guinness Book of World Records” lists the Lost Sea in Sweetwater as the largest underground lake in the United States. Dolly Parton is a native of Sevierville. A major highway, the Dolly Parton Parkway, takes visitors traveling to the Great Smoky Mountains National Park. Tennesseeans are sometimes referred to as Butternuts, a tag which was first applied to Tennessee soldiers during the Civil War because of the tan color of their uniforms. Cotton made Memphis a major port on the Mississippi River. The Memphis Cotton Exchange still handles approximately one-third of the entire American cotton crop each year. Tennessee aquarium is home to the largest freshwater aquarium in the entire world, with over 7,000 animals housed in the entire complex. Chattanooga was home to first patented miniature golf course, Tom Thumb Golf on lookout mountain. It was created in 1927 to attract traffic to the creator’s hotel. What are three of the tastiest things in the world? Chocolate, graham crackers, and marshmallow. Chattanooga bakery decided to combine all three, giving America the Moonpie in the early 1900s. On a clear day seven states are visible from Lookout Mountain near Chattanooga.